May all your dreams and aspirations in 2018 come true. My wish is that I could be more active in updating my travel blog. That I could write and share my travels and some other interesting things in cyberspace. For the past three years, I welcomed the new year in a place I don’t call my home. The first two was in Japan and now I’m in the neighboring country, South Korea. They had an amazing fireworks and LED show in Lotte World Tower that we watched ftom the sidewalk. It was freezing but we braved the cold just to witness how the Koreans welcome the new year. 1. Bundled up especially if you aren’t used to the cold weather. Temperature drop is common in the middle of the night. 2. Eat your dinner on or before 8 p.m. Most restaurants in the area closed early. 3. Stay inside the mall while waiting to escape the cold. Lotte Mart is open and you can do some shopping if you like. 4. If you’re saving money and taking the train, buy the return ticket before you go out of the train station. 5. After the fireworks, rush to the nearest train station. The crowd is huge with all the Koreans and foreigners catching the late night train. Train will run until 1:35 a.m. It was an experience to board the Seoul Metro earlier today with the mob of people trying to get in. It was wild but had fun even if we were squeezed silly. If you don’t want that kind of thing, you can probably take the bus or taxi back to your accommodations. If you have young children with you, I advise you take a taxi! July 2017 made me do some traveling within the country (Cebu City, Philippines) and region (Ho Chi Minh City, Vietnam). The first one is for pleasure. Visiting the city where I grew up and hanging out with friends. The second one was for work which is boring if you’re all alone. August 2017 had me packing for a trip with the family to Taipei, Taiwan. It was a very quick weekend getaway. The country is practically our neighbor but was never in our destination list until they decided to let us travel visa free! 😂 Surprisingly, I liked the place and will definitely go back someday because two days was too short. I can’t get enough of the delicious street food. The price is value for money! First, let me greet everyone (virtual visitors and friends) a Happy New Year! May all your aspirations for 2017 come true and abundant blessings bestowed to you and your family. 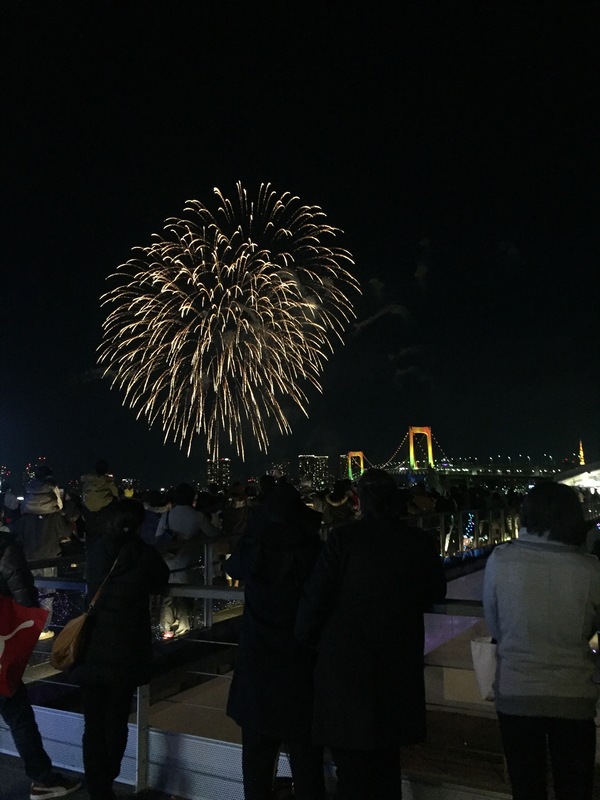 To see a fireworks display we had to go to Odaiba area. The show started at 7 pm on Dec 31 (New Year’s Eve) and lasted for 10 mins. It was cool as there was even a Hello Kitty figure up in the sky. Too bad wasn’t able to capture it! The giant Gundam is still in Diver City until March 2017 but since we had a photo taken on our previous trip, we didn’t bother to pose again. Shops closed early and at 9 pm we were on our way home to our rented Airbnb apartment (www.airbnb.com) in Bunkyo area. I know I should write more about the recent trip/s but I got so tired from the cardio exercise a.k.a. walking that I think I will have to bid adieu for now. See you again soon when I post my Macau & Tokyo escapades! 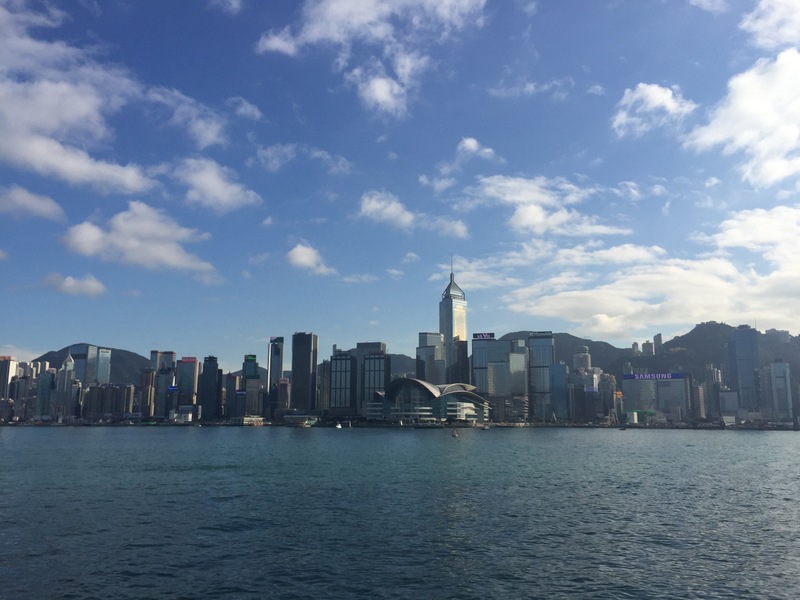 It’s been five long years since I’ve been to Hong Kong. It was one of my favorite destination for food and shopping in the past. When shopping there is still cheap. When the exchange rate is still 1 HKD = Php 3. 😄 Although it still has it’s charm, I think the decision to skip a visit to the city / country for a long time was a good decision. Mind you, I love the weather. I love how cosmopolitan it is. I love the city view and the neon lights at night (what’s left of it in Nathan Road). Anyway, let’s set aside my angst about the rudeness, the airline and just focus with my quick trip. 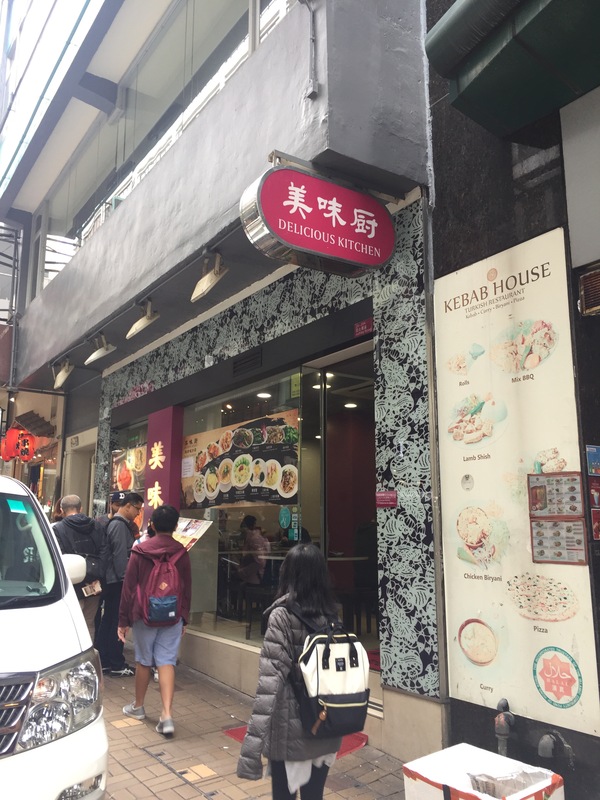 We arrived late at night and we were supposed to take the taxi for HKD 250 to our AirBnB accommodations in Tsim Sha Tsui but we found out that going by bus was cheaper at HKD 33 per person. We still had our Octopus cards from our previous visit so we just loaded funds at a counter after we exited the arrival area. 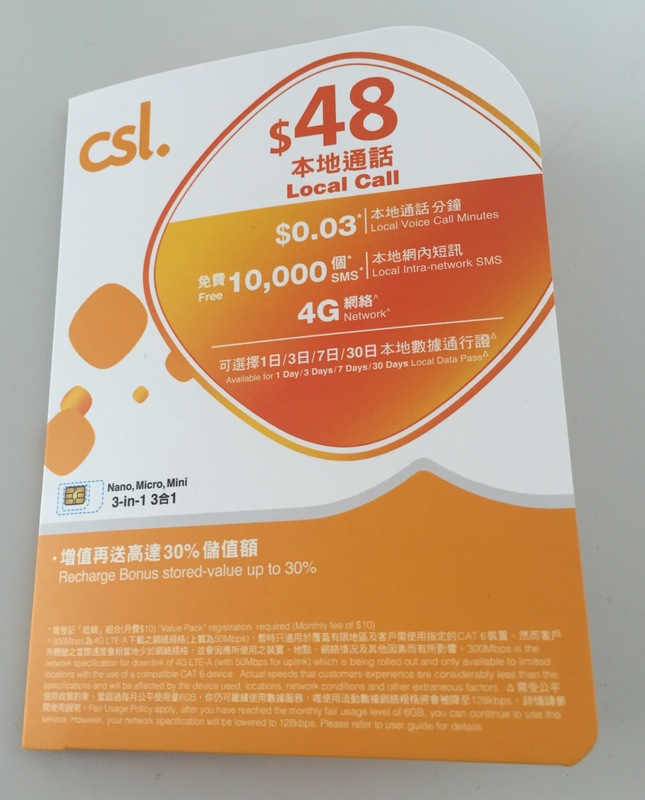 Kids fare for the bus ride to the city is 50% or HKD 16.50 which made our total bus fare go down further. Airport Express is expensive and we decided to use it on the way back to the airport for the flight home. 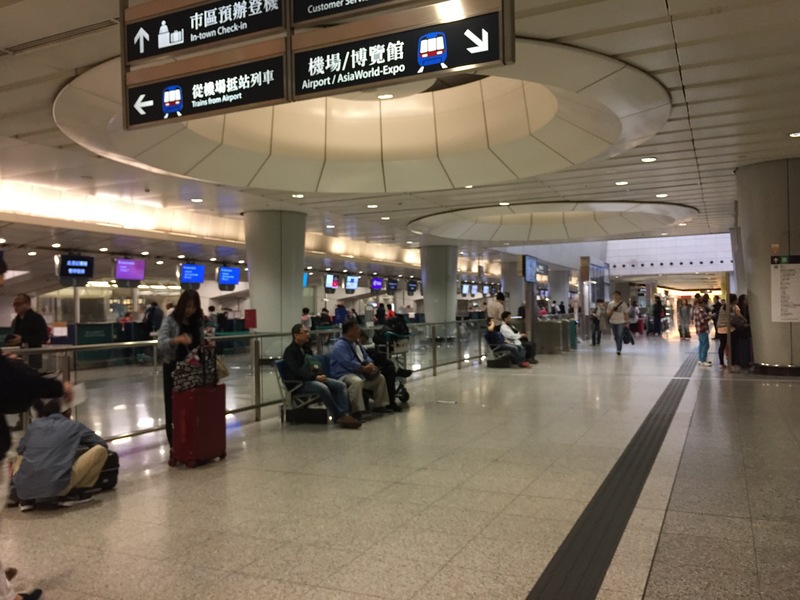 It’s convenient especially if the airline have an in town check in at either the Kowloon or Hong Kong Station. 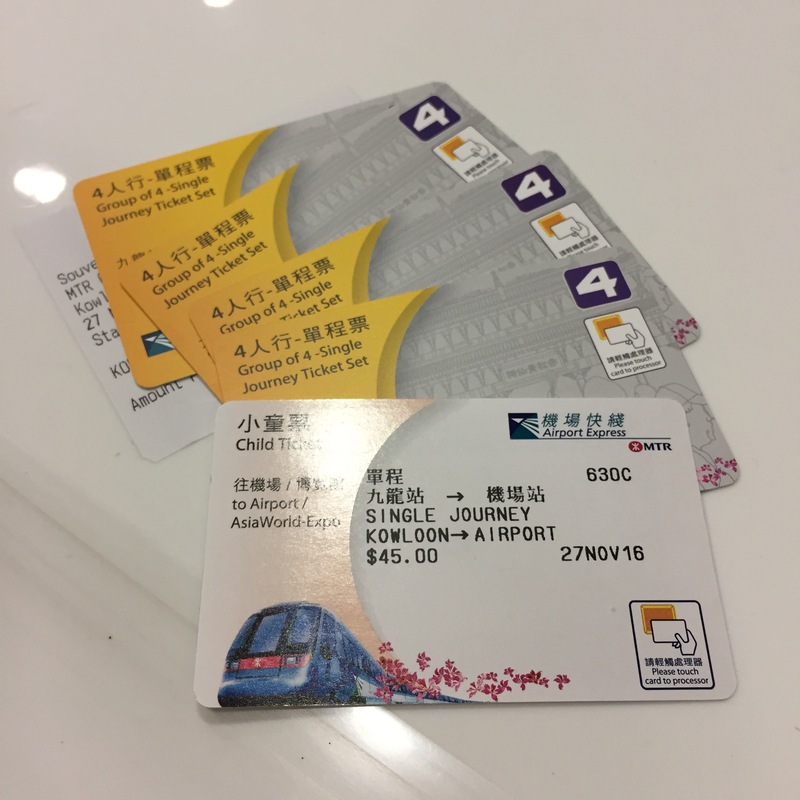 We availed of the group of 4 train tickets at HKD 250 and added a child’s ticket at HKD 45. Our flight was at 10 pm but we checked in early around 12 noon so that we can still have time to explore the city for the rest of the day. 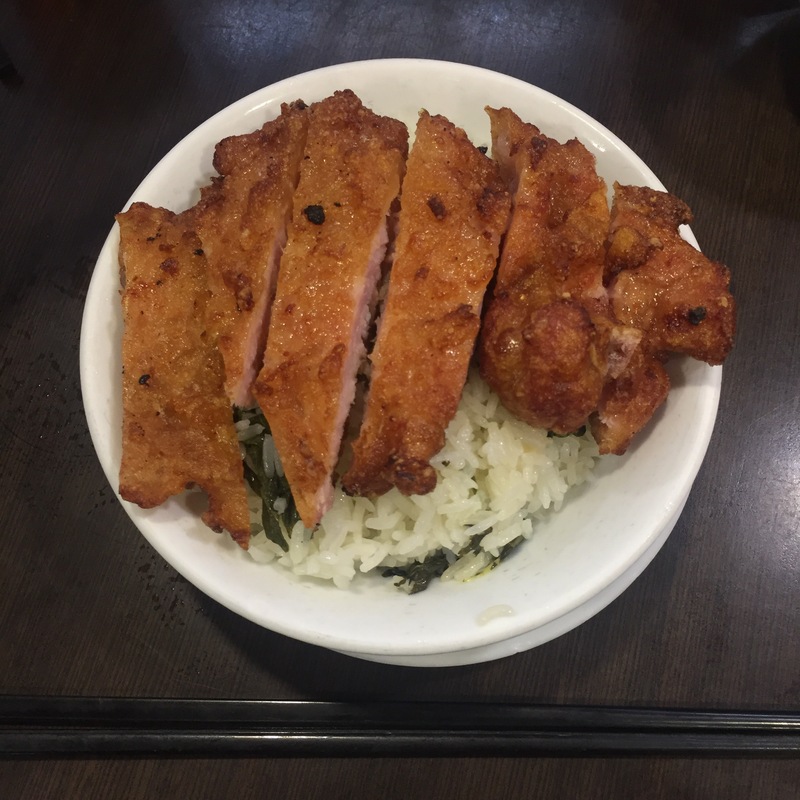 We heard about Delicious Kitchen from a friend and decided to try it out. The pork rib was delicious! And surprisingly the restaurant’s attendants were kind and polite. 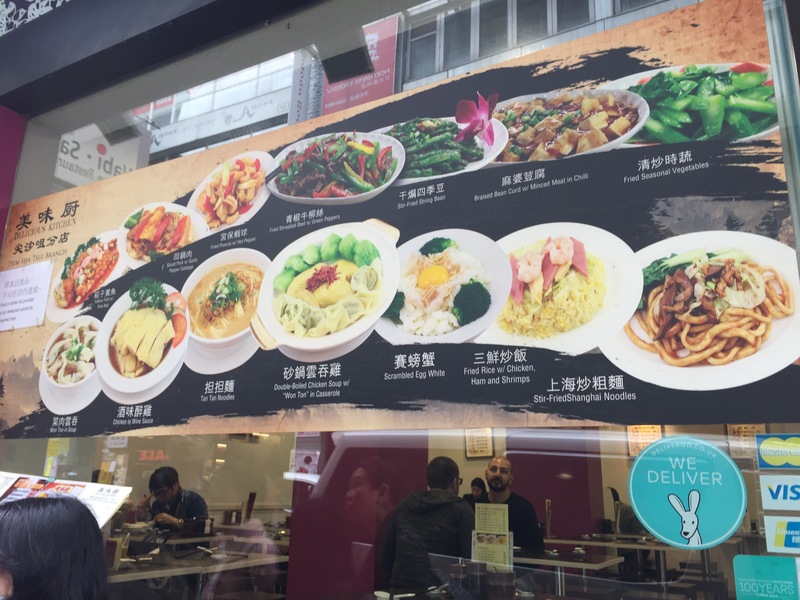 I highly recommend trying this restaurant when in the city. Walking is good for the heart and so this trip was all about walking around the city with some MRT rides in between and eating. The weather was nice except when it rained. 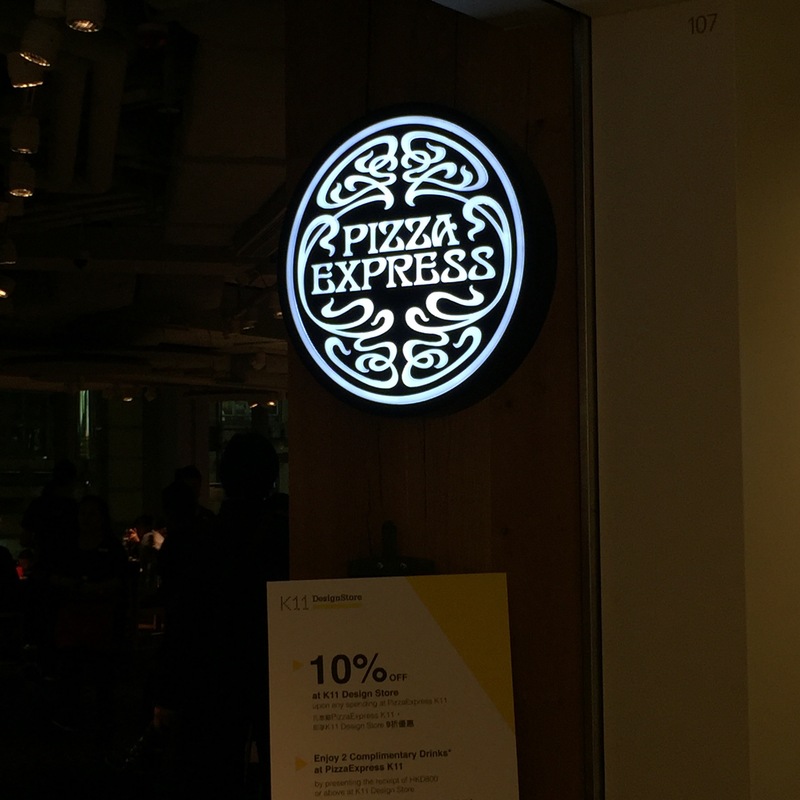 One food stop was Pizza Express which is not yet franchised in our country as of this writing. 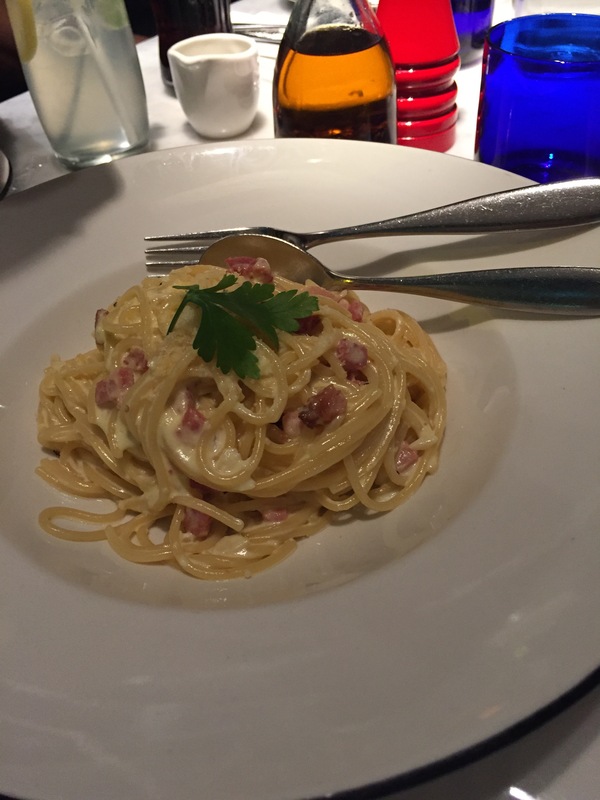 And because we were so hungry, I only had one photo of the pasta and no photos of the pizza! 😅 But, the food was really good. There’s one in the airport so if you missed it in the city, try it there! 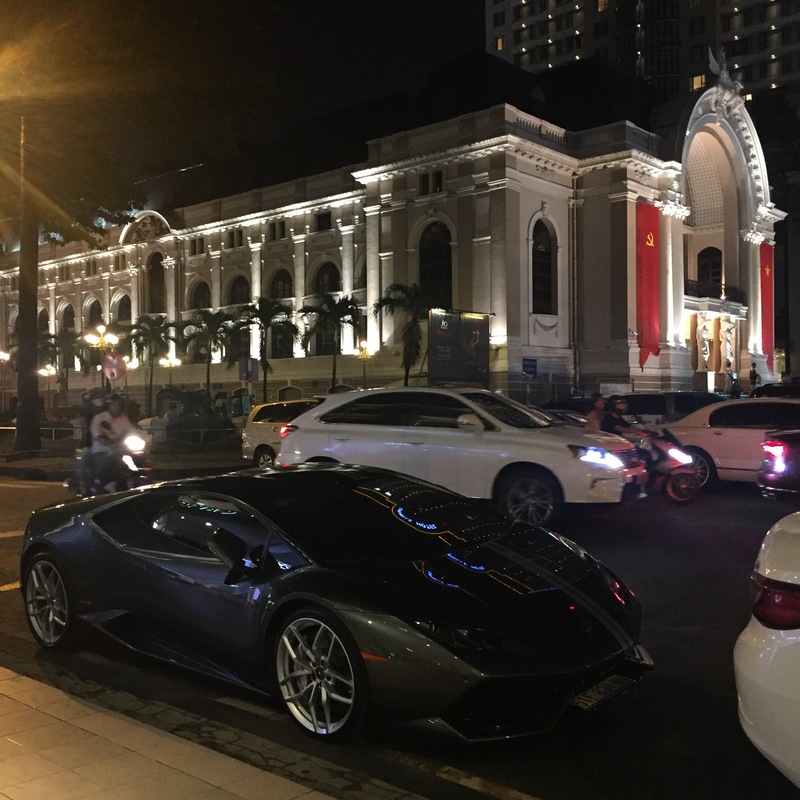 I got lucky and was sent for a very quick business trip to Ho Chi Minh City in Vietnam a few weeks ago. I was excited because I’ve never been there before. A new place to visit will get anyone excited or afraid. 😄 Good thing, I was born with an itchy feet and so I cannot wait to explore the place.. after work, of course! 😅 Forgive me but the photos were mostly taken at night. 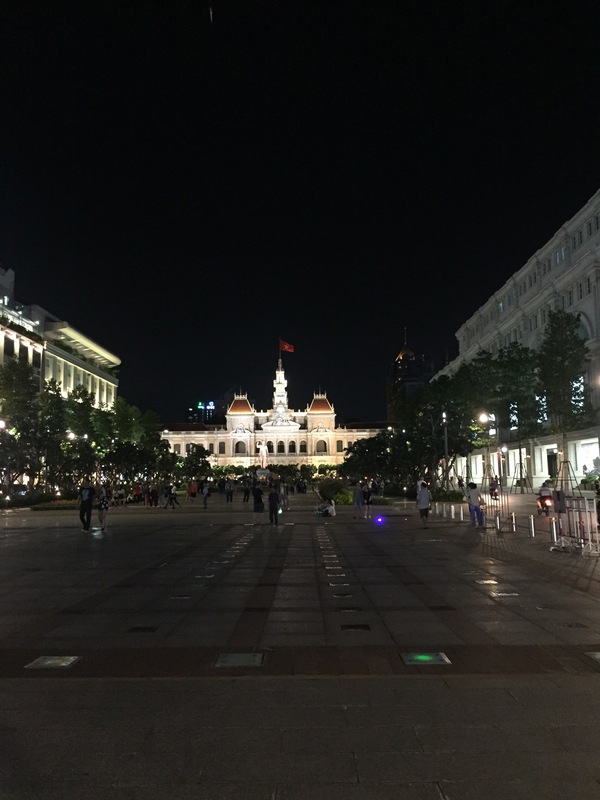 Vietnam is a developing country and I know I shouldn’t expect too much. 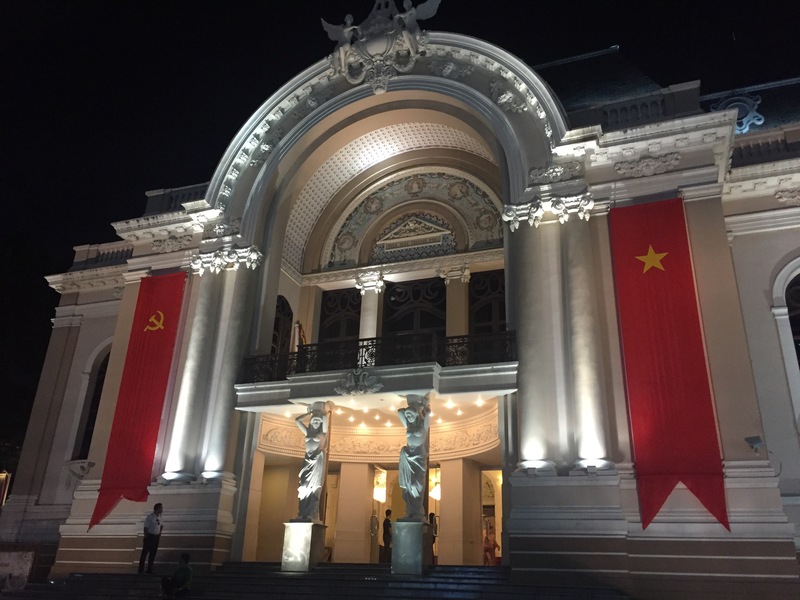 But, Ho Chi Minh City has it’s own charm. I was lucky to stay in Caravelle Hotel located in District 1. It’s just a few steps from their Opera House and walking distance to places I wanted to see. A short walk from the hotel brought me to one of their famous landmark which is the Notre Dame Cathedral. 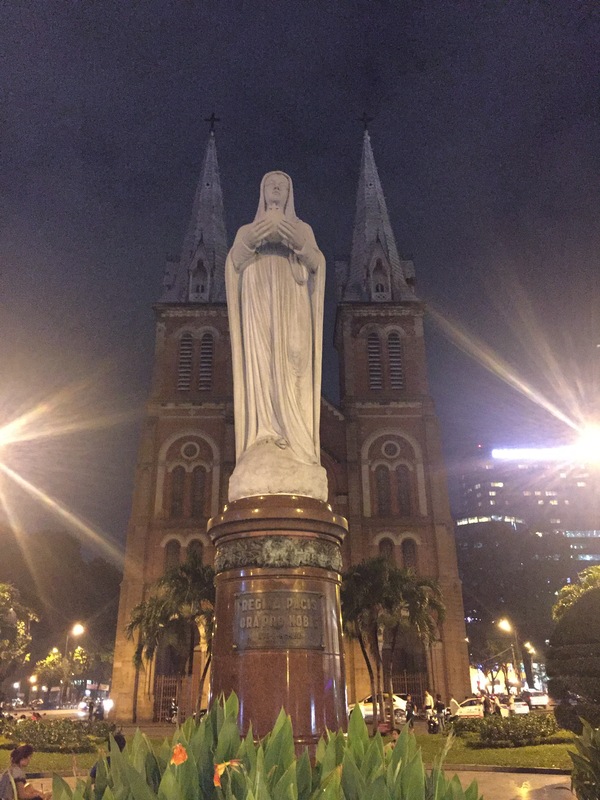 Too bad I wasn’t able to go inside the cathedral to light a candle or say a little prayer. 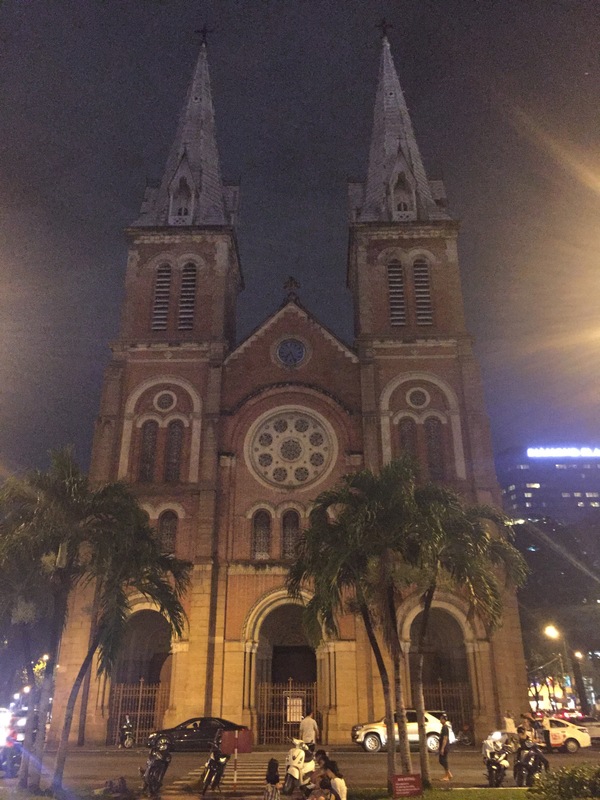 🙏🏼 It would have been nice to see the inside of the church but was there on a weekday and it was closed. 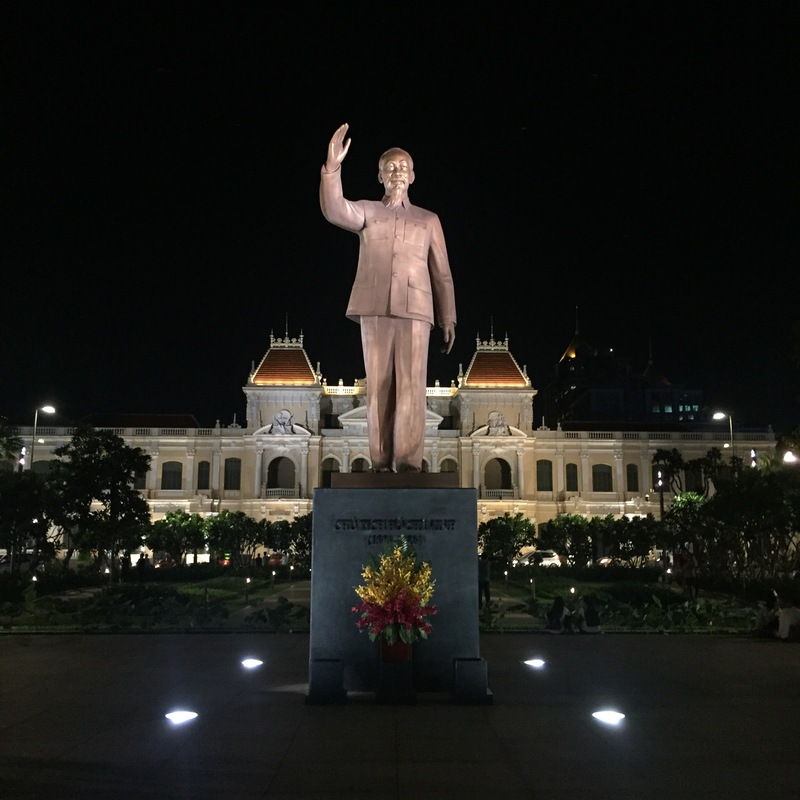 The busiest area at night was probably the Ho Chi Minh City Hall square where the statue of Uncle Ho stand tall. A lot of people were at the square. Tourists mingling with the locals. 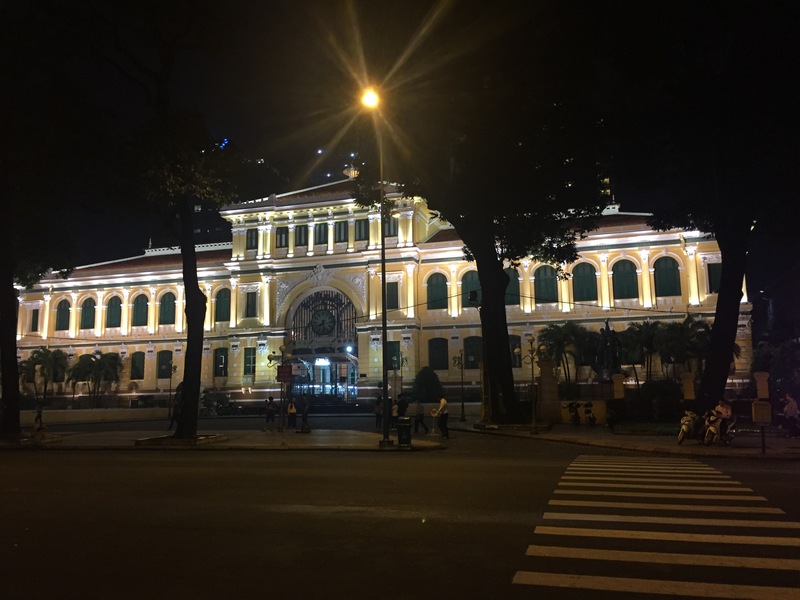 The city hall building as with most of the buildings around was French Colonial architecture and beautiful. 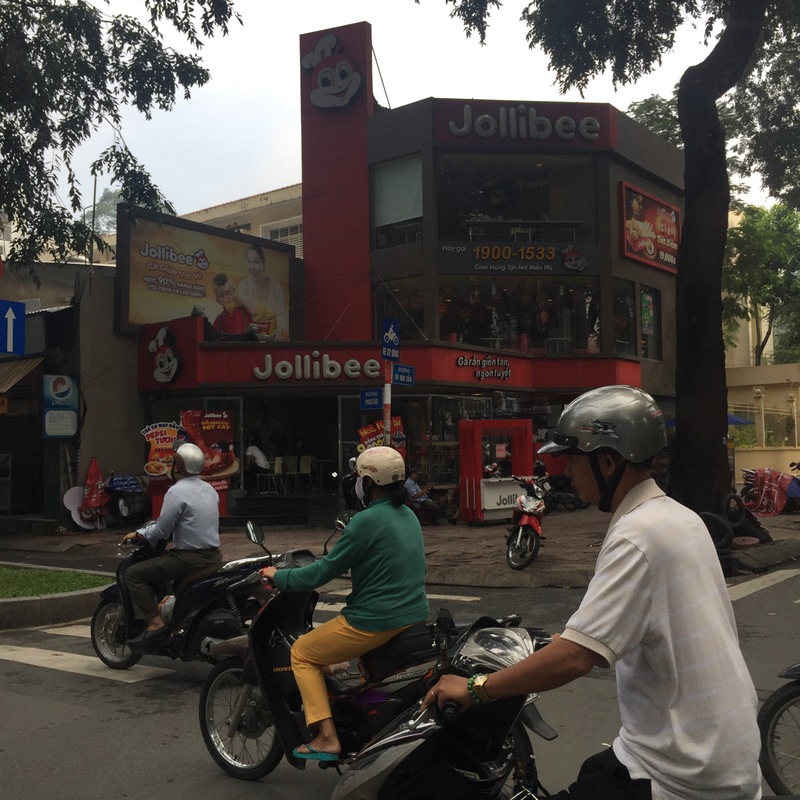 I liked Vietnam. Reminds me of some of my country’s cities before modernization came in. They still have a long way to go but the trains and highways are in the works already. I just hope they will preserve their buildings to mingle the old with the new. I don’t know why but a trip is never complete without purchasing something from the country you’ve visited. It can be shopping for souvenirs, trinkets, clothes, shoes or the local delicacies. Aside from sightseeing, it’s the most enjoyable part of every trip. Ha!ha! 1. 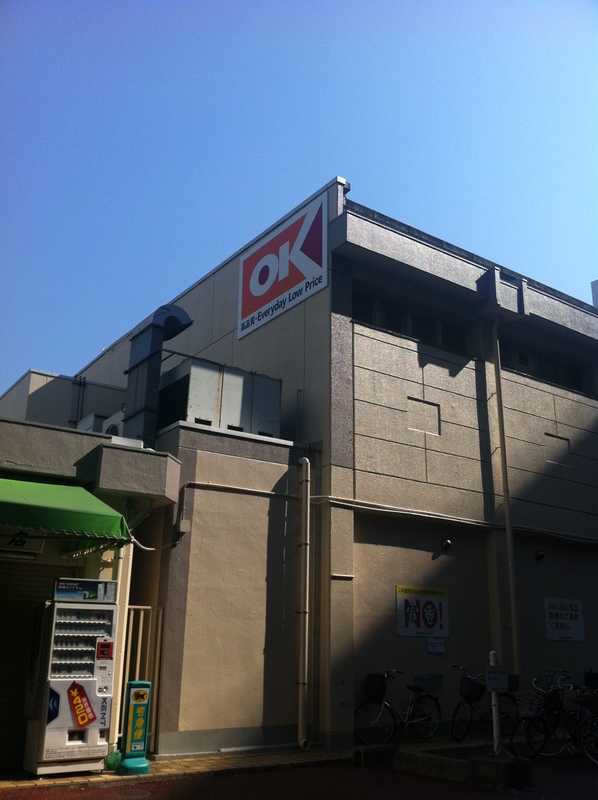 OK Supermarket in Tokyo – there’s bound to be one around the neighborhood. Bought my grocery supply of Tonkatsu Sauce, Nissin Curry/Seafood Noodles, Japanese Curry Mix, Japanese Coffee & Green Tea, Kitkat Green Tea and other Japanese food stuff here. Back home, it’s too expensive so while in Japan grab the stuff that you want! I even bought Shiseido and Kose facial toners here because it’s cheaper than in Matsumoto Kiyoshi. 2. 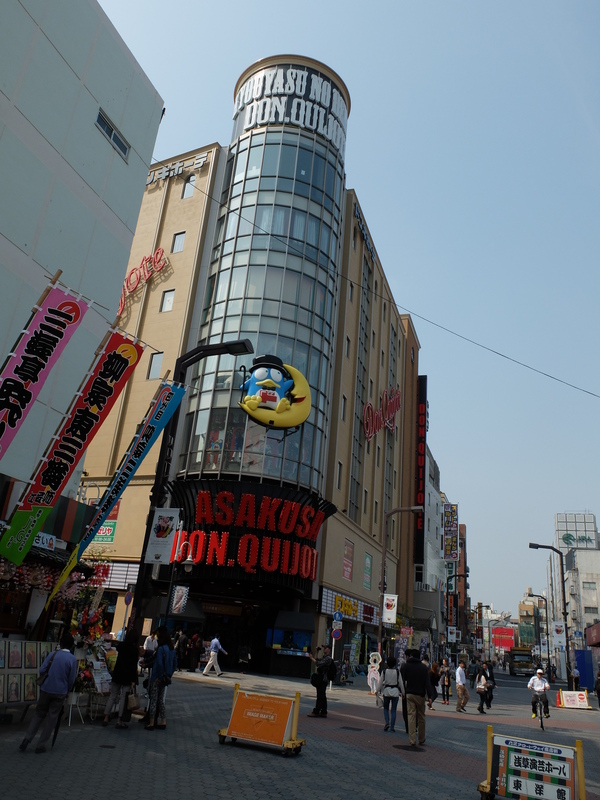 Don Quijote or simply called “Donki” – is a very popular store and a must-visit place for tourist if you can’t find a local grocery. I love this place. The stuff they sell is varied. Japanese goodies for everyone! You can even find designer items in one of their floors. 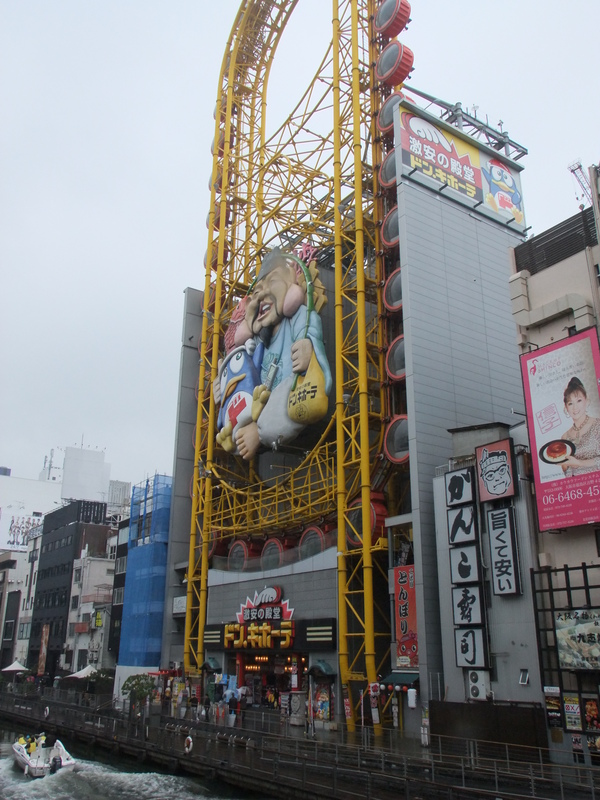 In Osaka, you can find a big store in Dotonbori area. In Tokyo, we found one in Akihabara while there’s a newly opened one in Asakusa. My family went crazy and shopped like there’s no tomorrow. 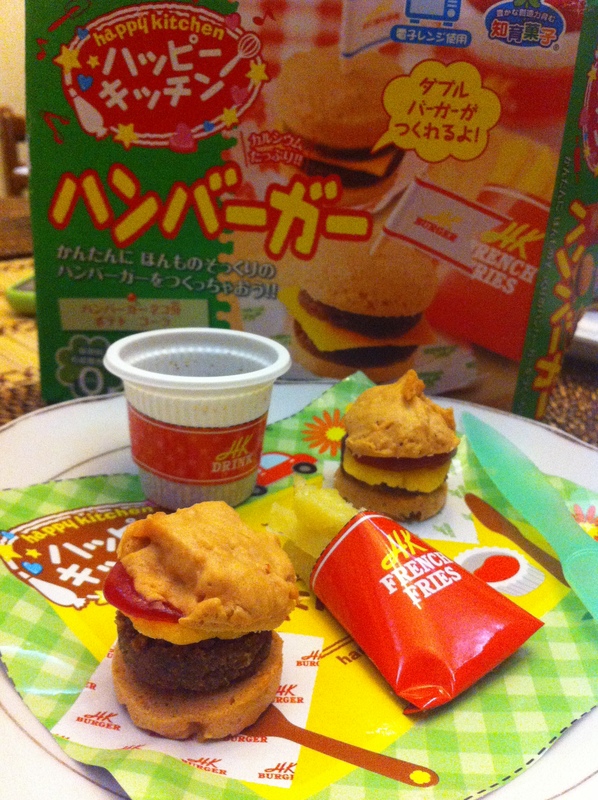 The kids loved the Kracie Pop & Cookin’ food products that they found in Donki. 3. 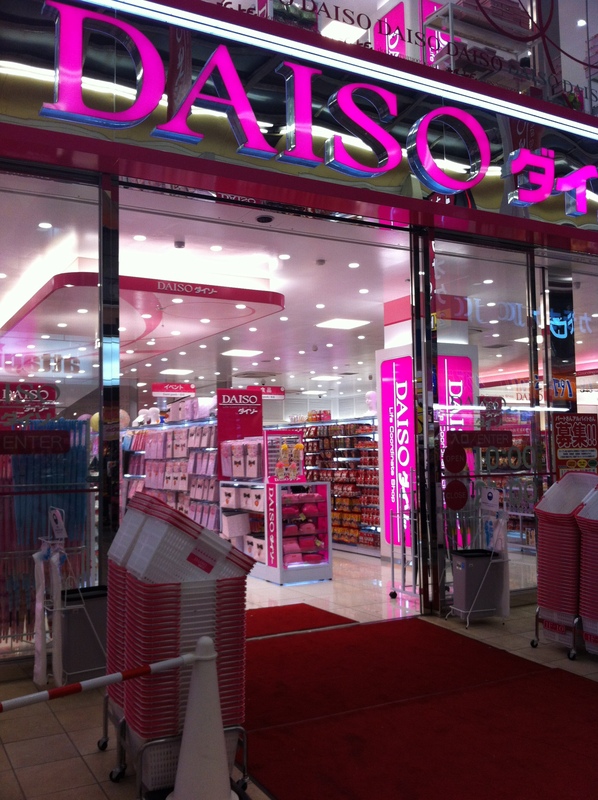 Daiso – or the 99 Yen Store. So many cute stuff in this place. You can buy something to give out to friends, co-workers from this store. And some things for the home. 4. Uniqlo – one of my fave brands and the company also have the lower priced GU store. You can find a lot of stores in Osaka and Tokyo. There’s always reduced priced items somewhere in the store. That’s why I love this shop because even in my own country, you can find good deals. Plus, the quality is very good. 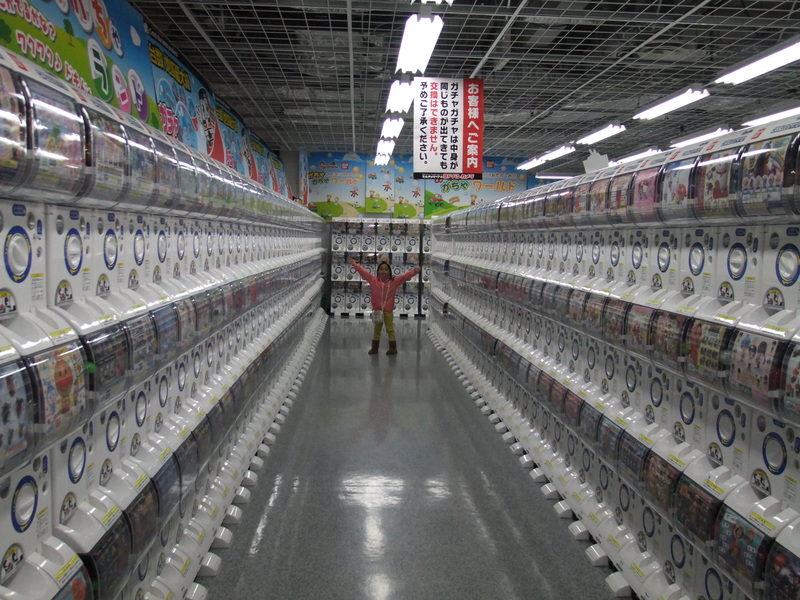 Some items are cheaper in Japan so you might want to check it out. 5. Muji – some items are a bit pricey but I like the food stuff that they sell. Some of which we can’t find in the franchised store in our country. The kids also love to shop for their pens here coz that’s what they can afford from their budget. Ha!ha! I liked the shoes for my little one and I regret not buying more in different colors and a bigger size for when the feet gets bigger. We found one of the biggest Muji store in Namba, Osaka. 6. 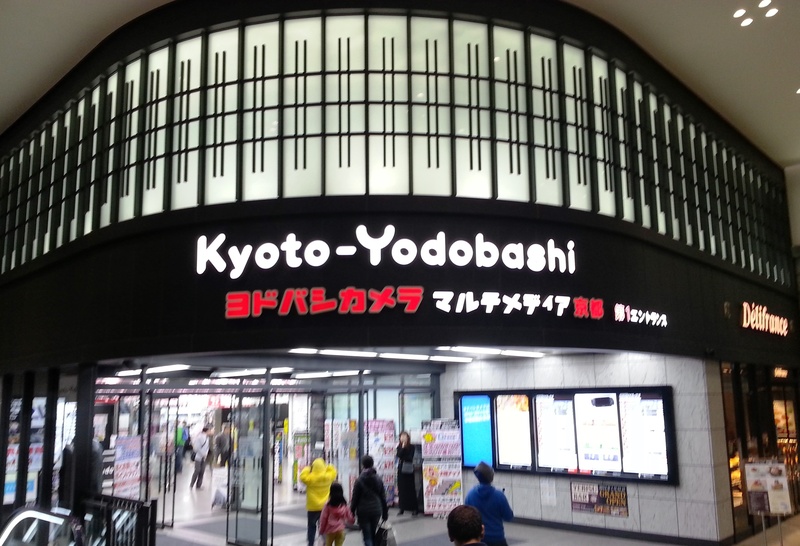 Yodobashi – I almost forgot to add this to the list. 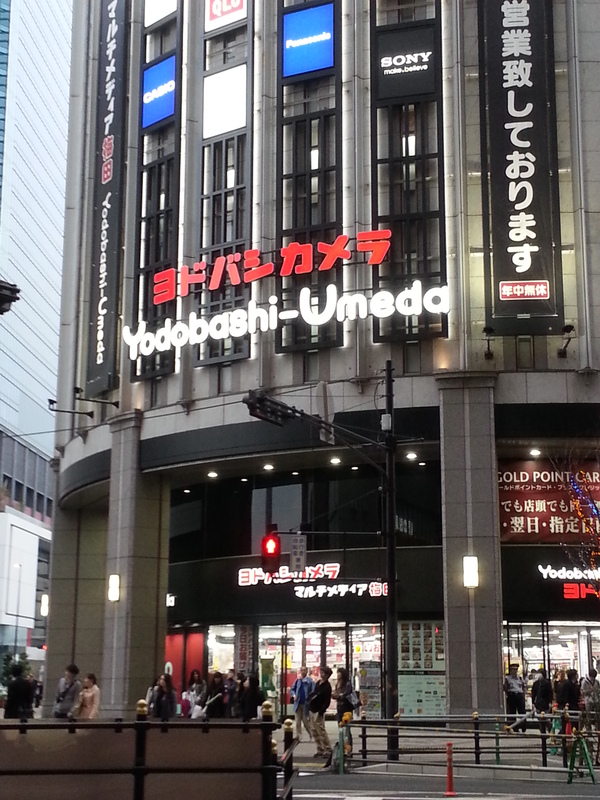 I’ve been to the stores in Umeda (Osaka), Kyoto and Akihabara (Tokyo) and I enjoyed all of my visits. 🙂 The kids were amazed at the capsule stations or capsule vending machines. They couldn’t get enough and if you don’t remind them that there’s no more room in their luggage for other things, they won’t stop. Lastly, when in Tokyo you have to try and buy Tokyo Banana! I bought from their store in Oshiage, Sumida which you can’t miss if you plan to go to Tokyo Sky Tree.